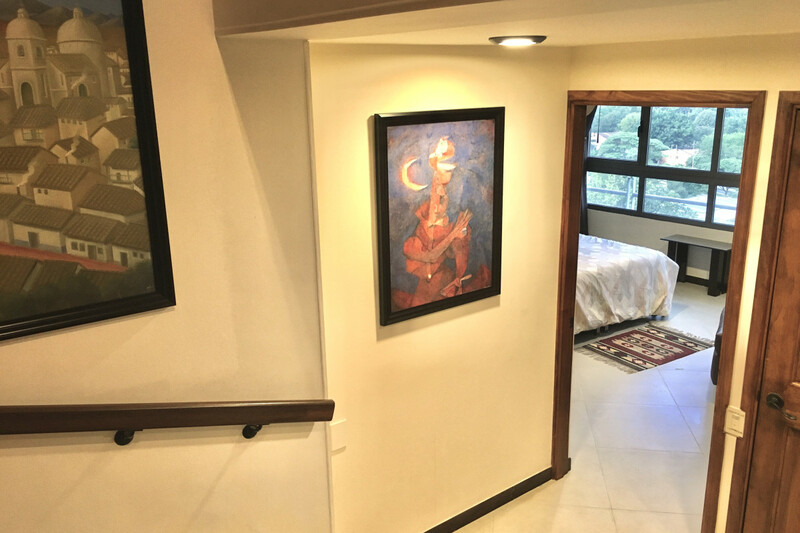 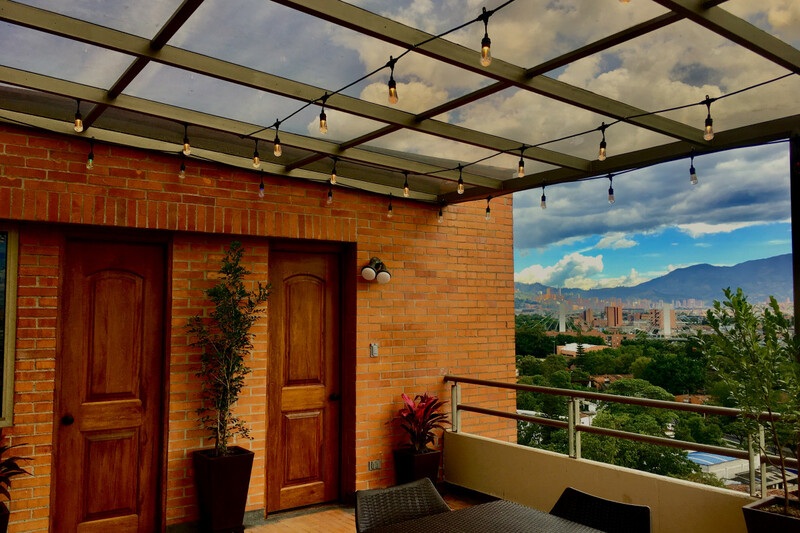 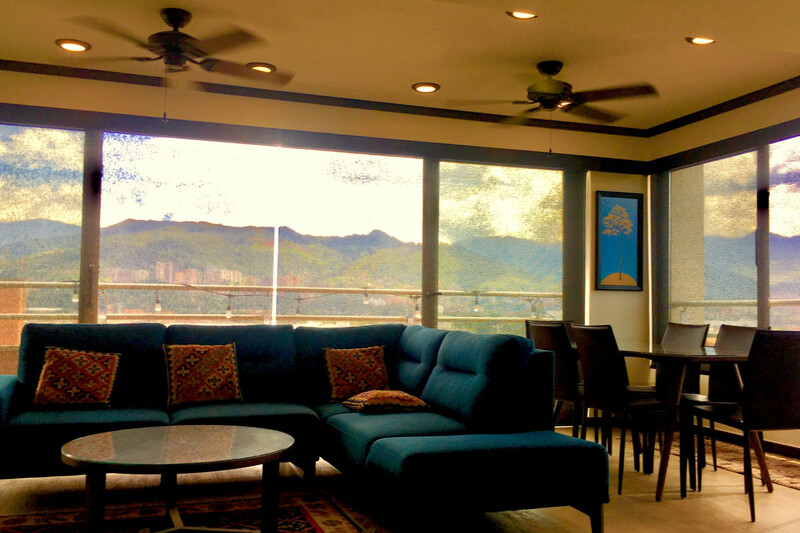 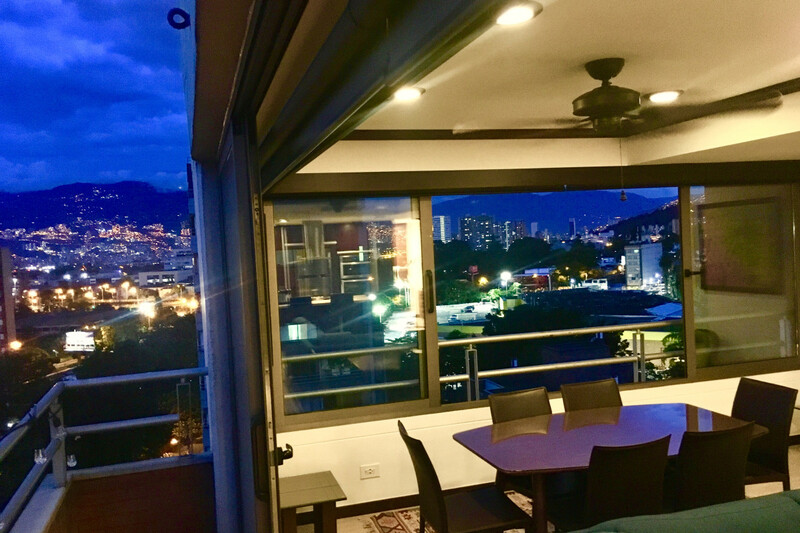 If you’re looking for spectacular views and short walking access to the Poblado Metro Station and the Poblado EXITO Supermarket with its numerous shops, bakeries, and eateries you cannot beat this Penthouse located in the quiet residential neighborhood of Patio Bonito/Astorga. 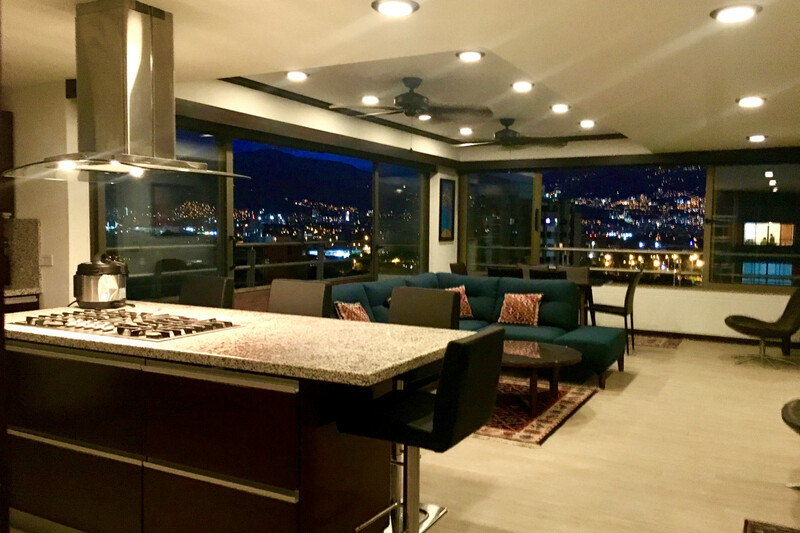 Occupying the top three floors of the building, this penthouse has unobstructed sweeping 270-degree views looking to the North, West, and South from each level. 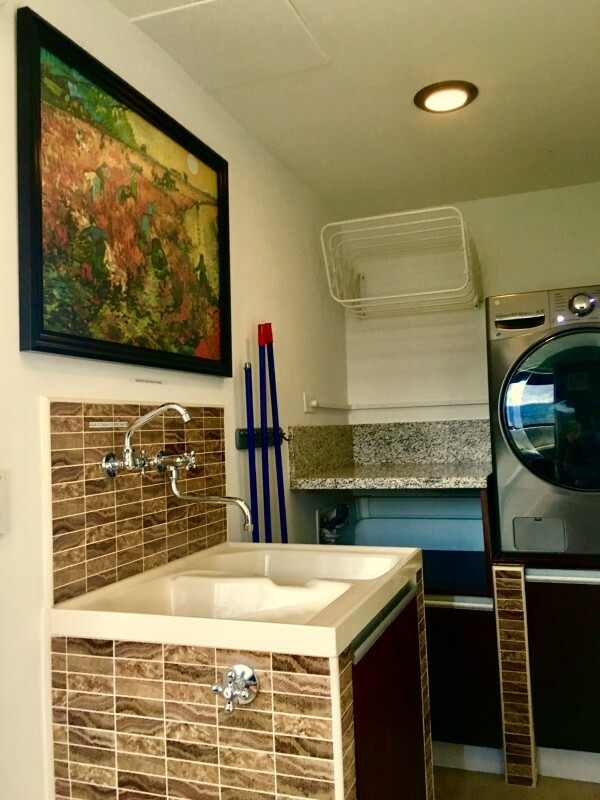 The first level consists of great space with an open kitchen living area, dining area, outdoor balcony, and laundry area. 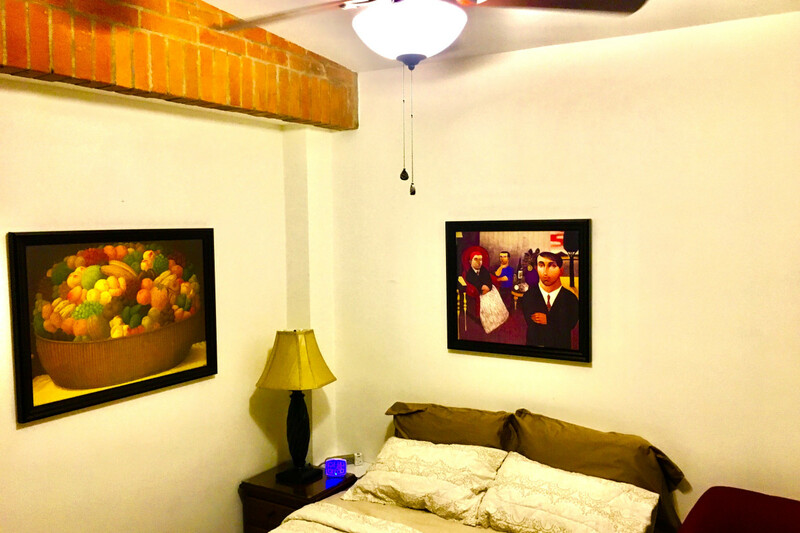 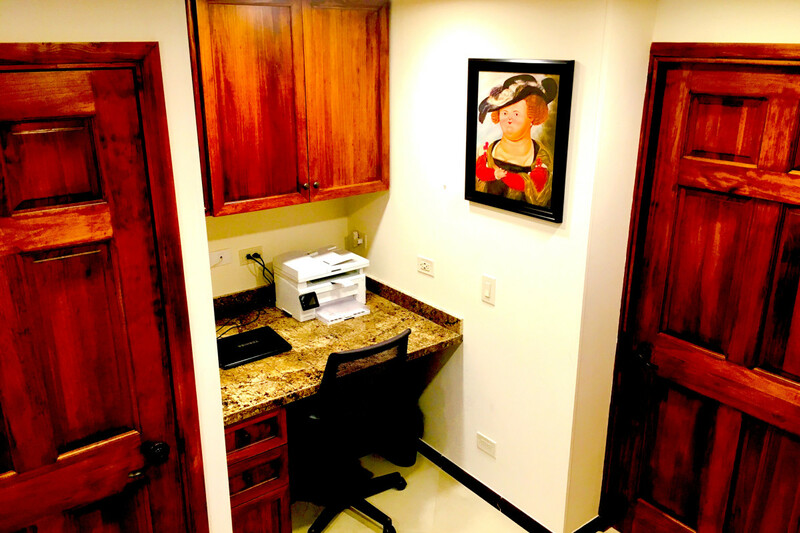 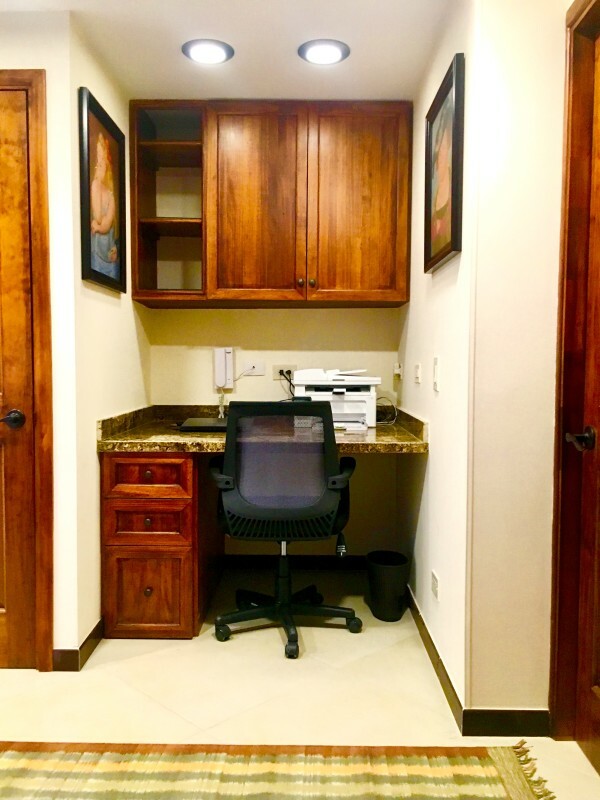 The second floor has two large private en-suite bedrooms with queen size beds, air conditioning and a dedicated office area with a built-in desk. 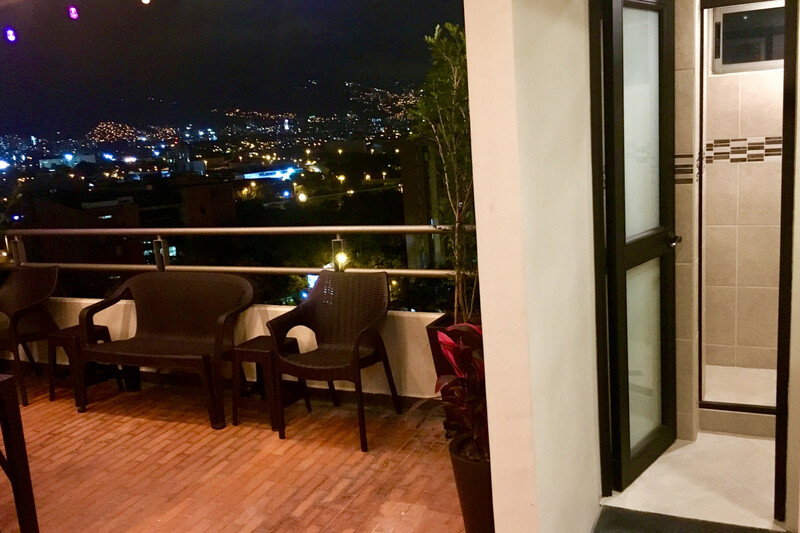 The third floor has a large open Terrazza with a glass roof, two bedrooms with full-size beds and A/C in one of them, an outdoor kitchen, an open entertainment/dining area, BBQ, and a bathroom with a shower. 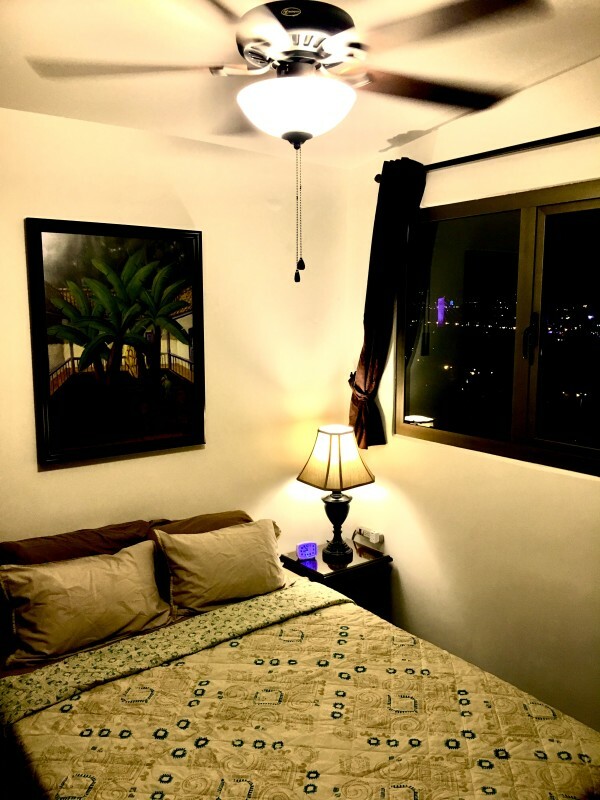 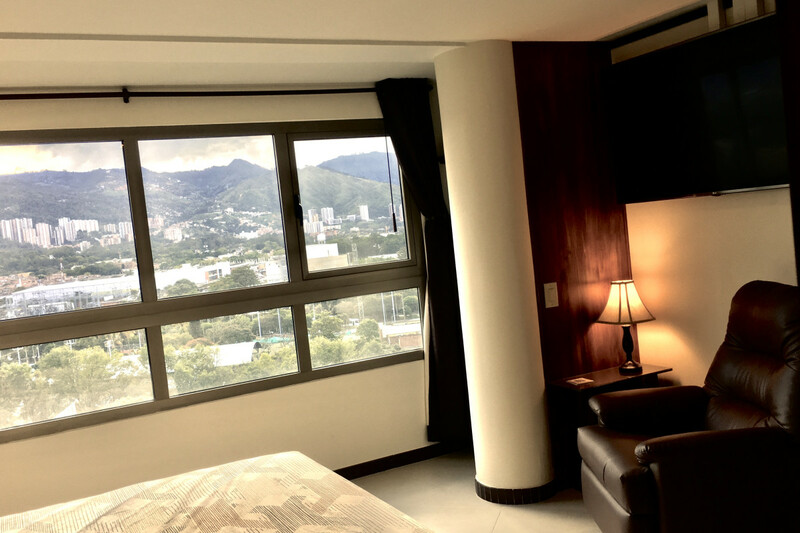 Upon entering the Penthouse there is a user-friendly control panel from which you can operate the electrically controlled curtain system; the timer operated overhead ceiling fans and dimmable soft overhead lighting for the different lighted zones on the first floor. 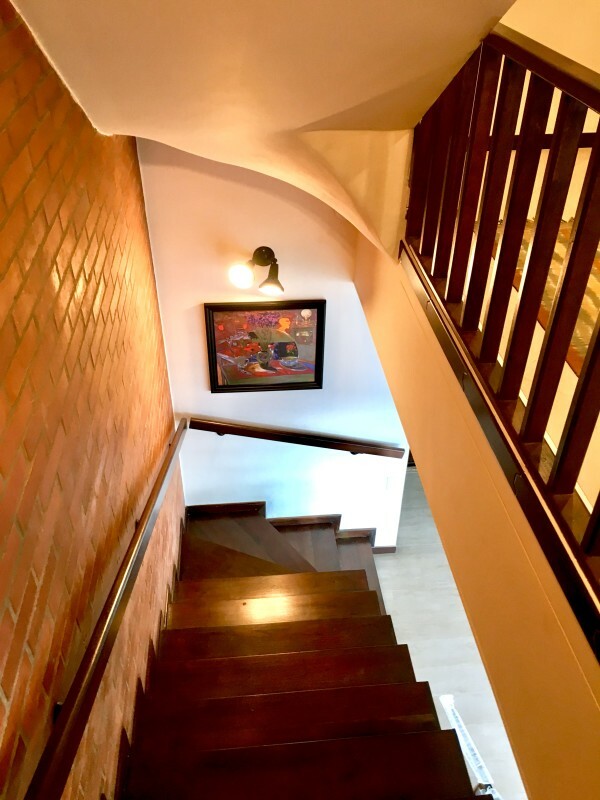 The stairs and passageway on the second and third level of the Penthouse have an automated light sensing system and an office with a custom built-in desk with a granite countertop, drawers, cabinets, electrical charging outlets, and storage areas including a Router system with 20 Megabytes for streaming Netflix and over 240 TV channels including HBO Premium. 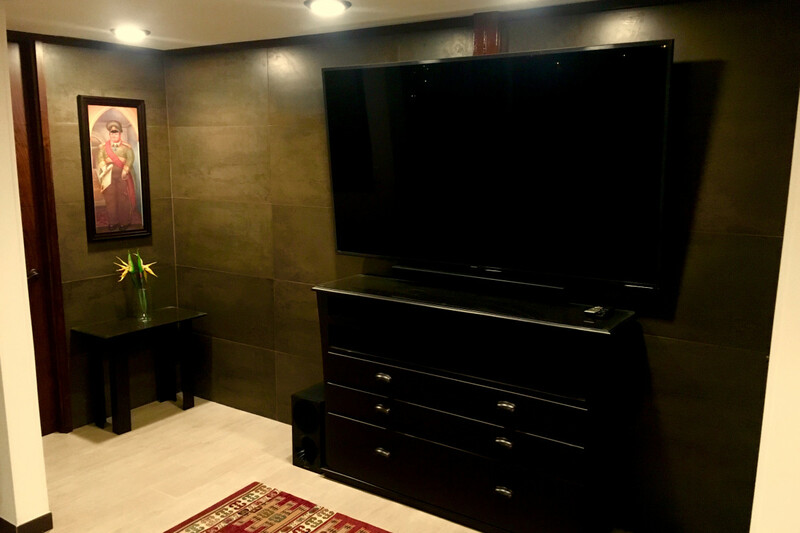 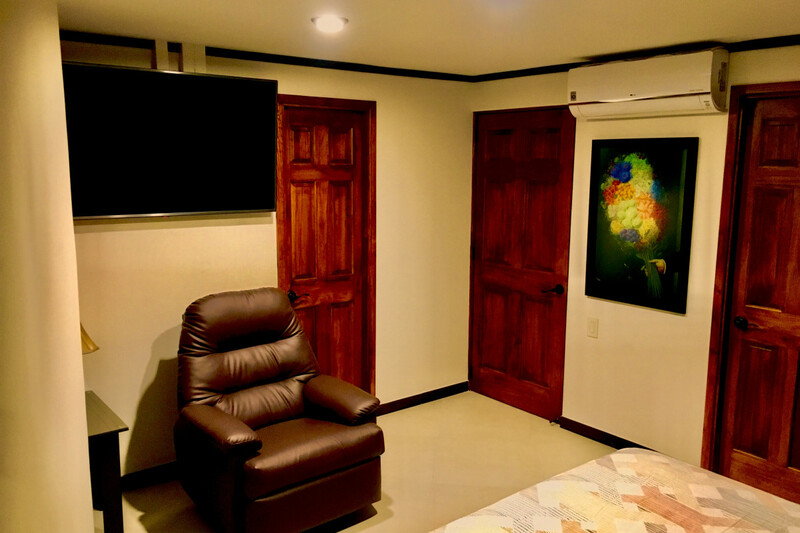 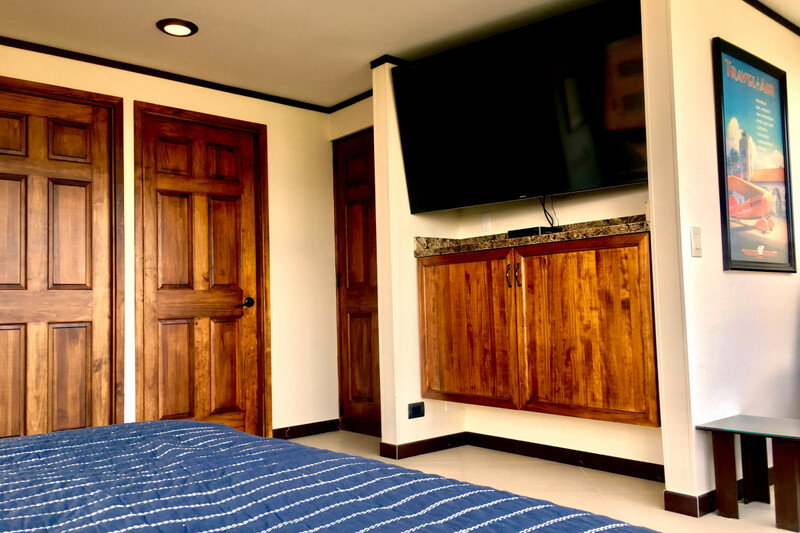 Every room has flat screen 4K HDTVs. 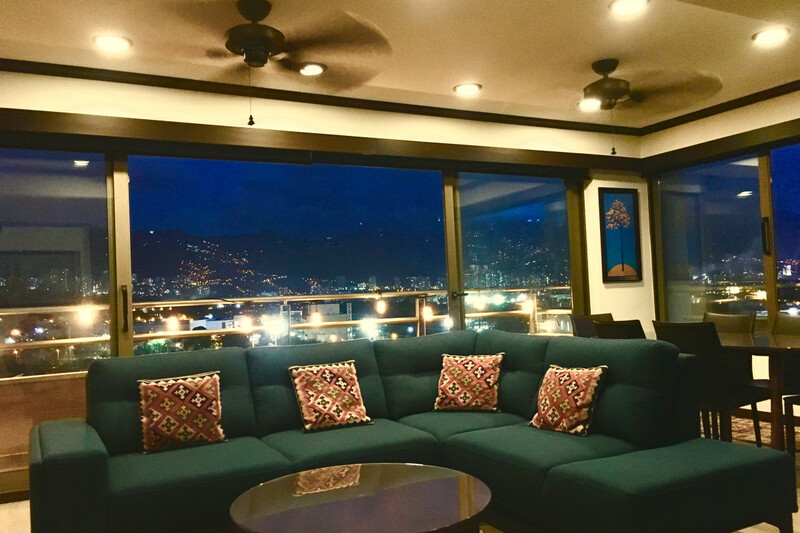 The Terrazza has seating for ten and is weather protected from the rain with a see-thru tempered glass roof, along with an outdoor kitchen and dining area and two bedrooms. 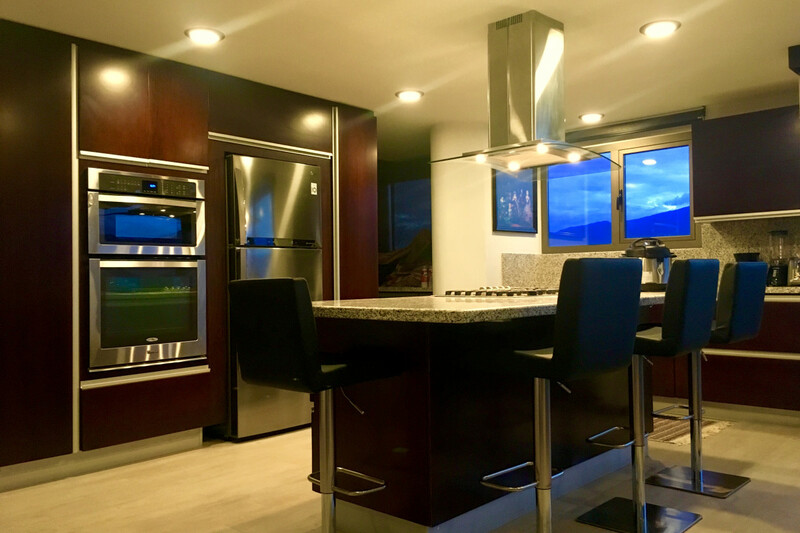 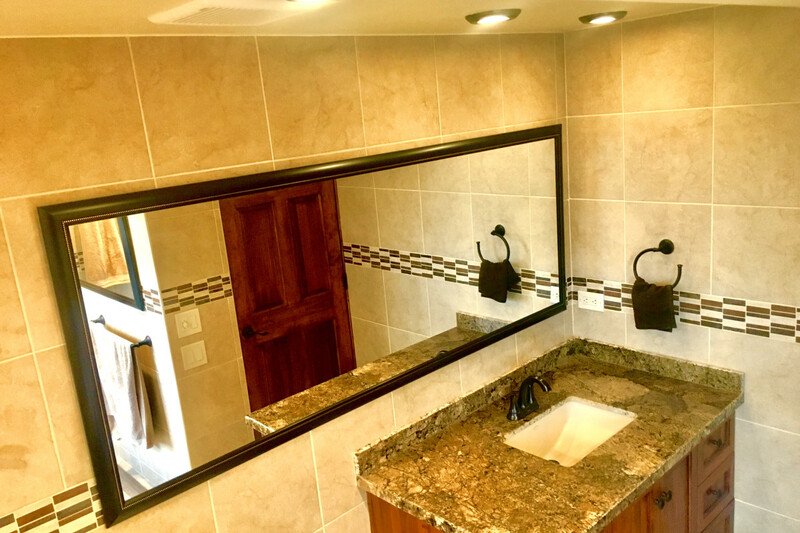 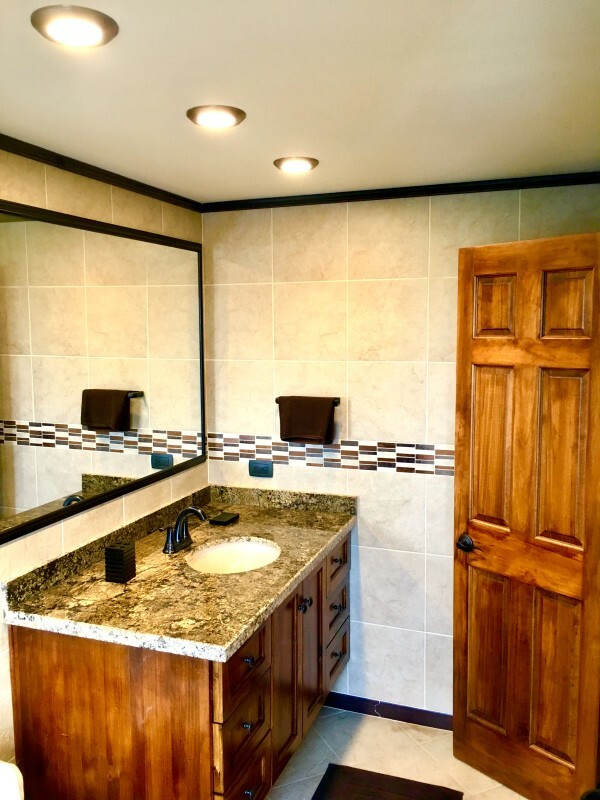 The outdoor kitchen has a deep stainless steel sink, microwave, refrigerator, and cabinets along with a Gas BBQ (not propane) with a gas side burner for cooking and a multi-speed smoke extractor with lighting. 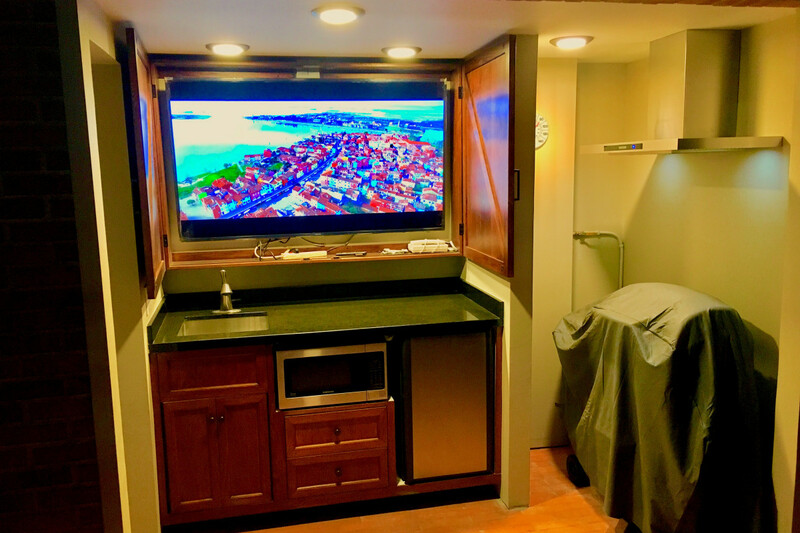 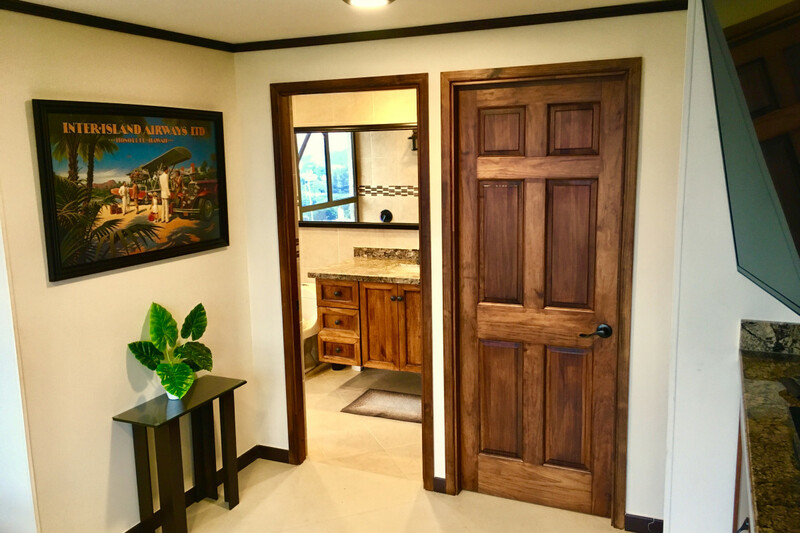 Directly above the outdoor kitchen countertop hidden behind the doors of the oak cabinets, there is a concealed 65-inch flat screen 4K HD Smart TV. 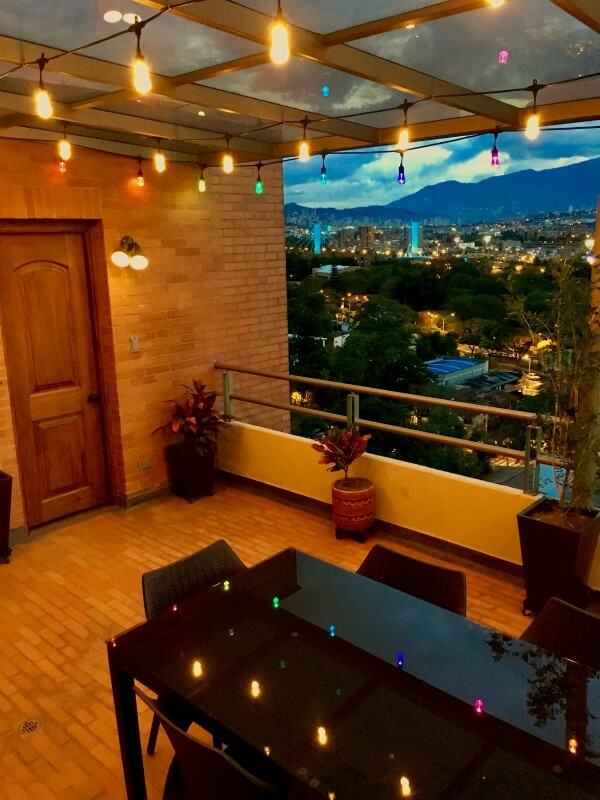 There are lighting controls which include a colored café string lighting system on timers, an outdoor water spigot/hose, outdoor plants, and a glass top dining table with seating for six people. 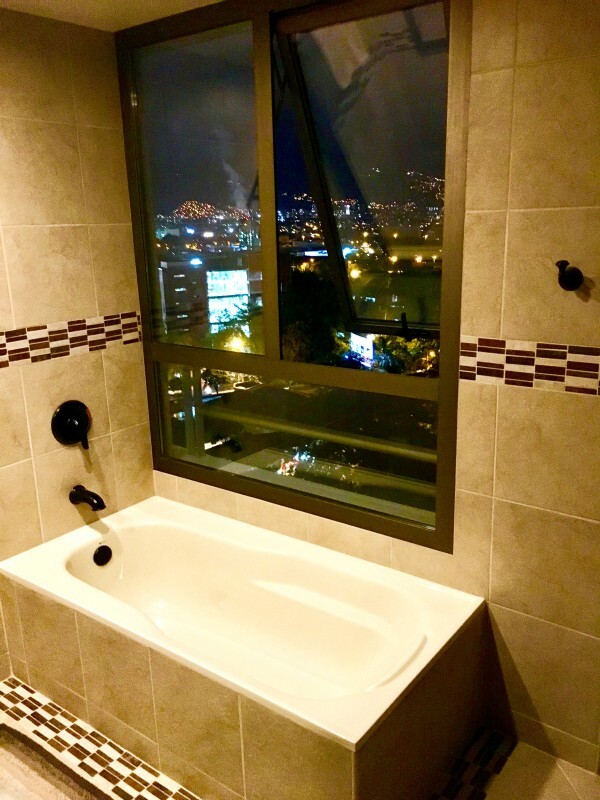 The building is a two-minute walk from the EXITO Supermarket and the Poblado Metro Station is a seven-minute walk away. 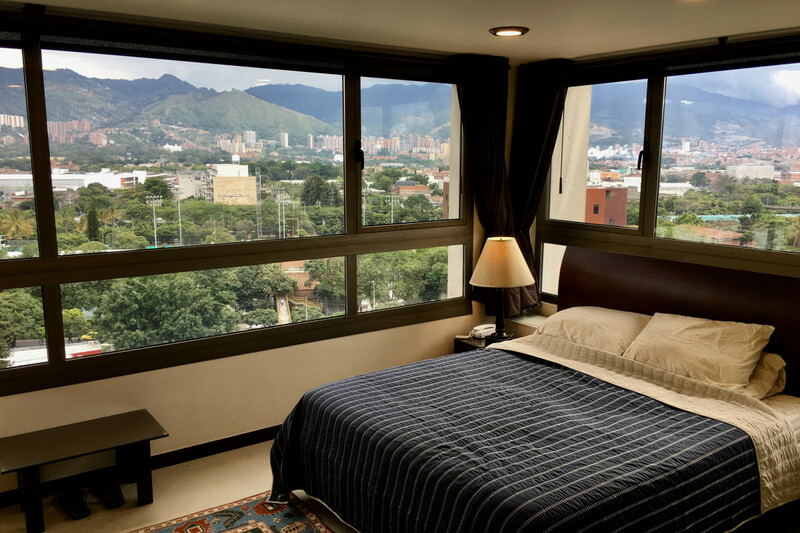 It has 24-hour security and two dedicated parking spaces for the apartment. 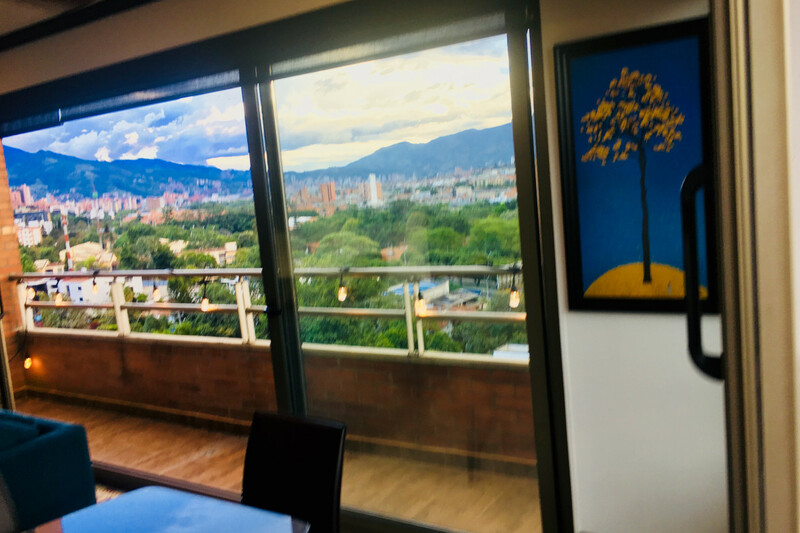 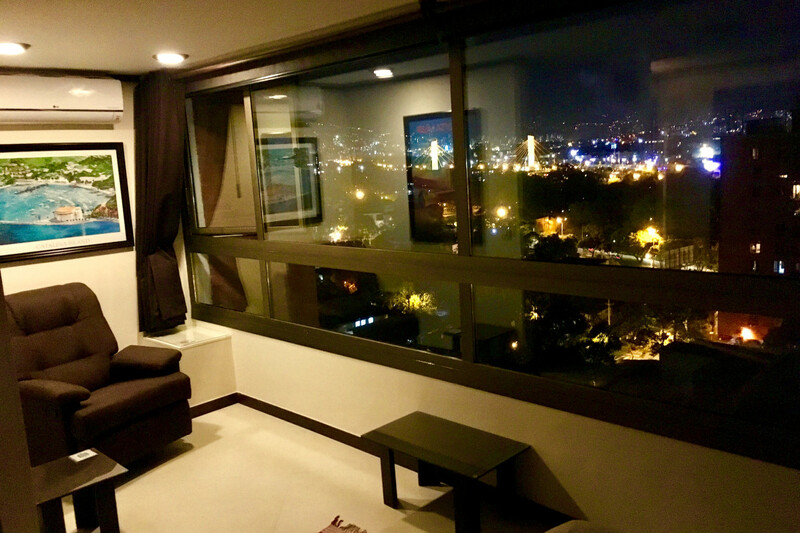 Everything is within a short walking distance from this Penthouse including Parque Lleras/Provenza and several high caliber restaurants in Astorga, such as BARCAL just a five-minute walk away. 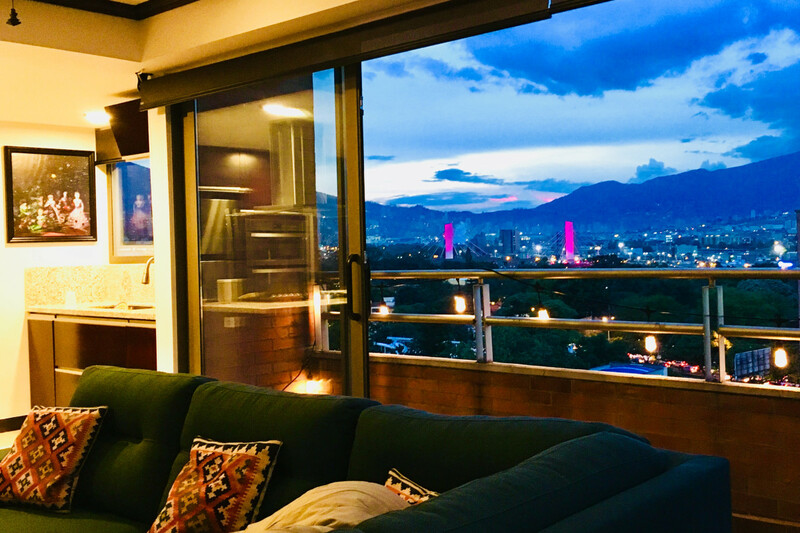 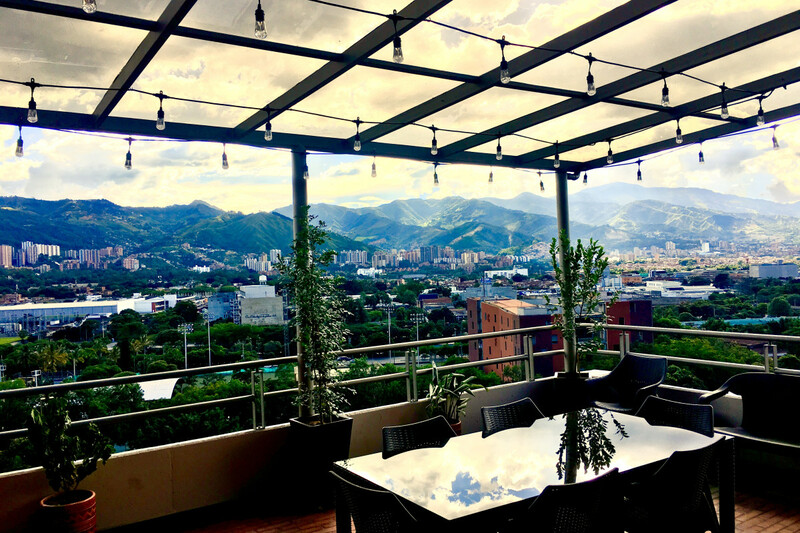 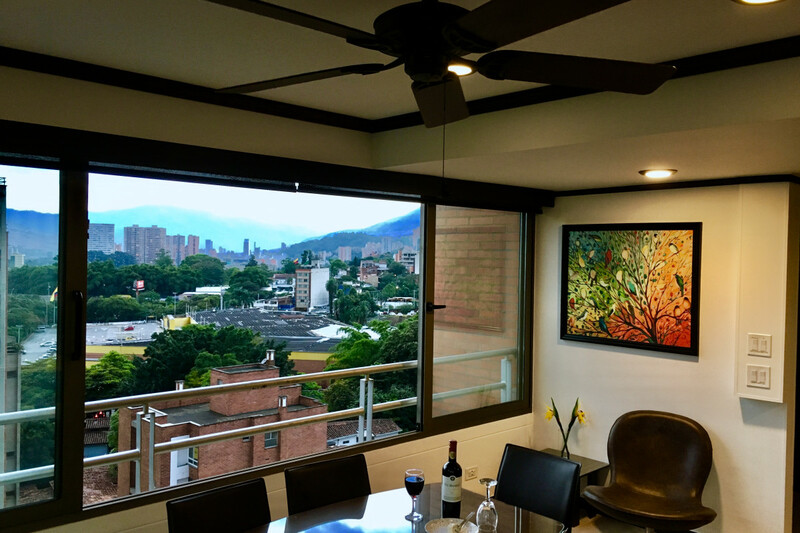 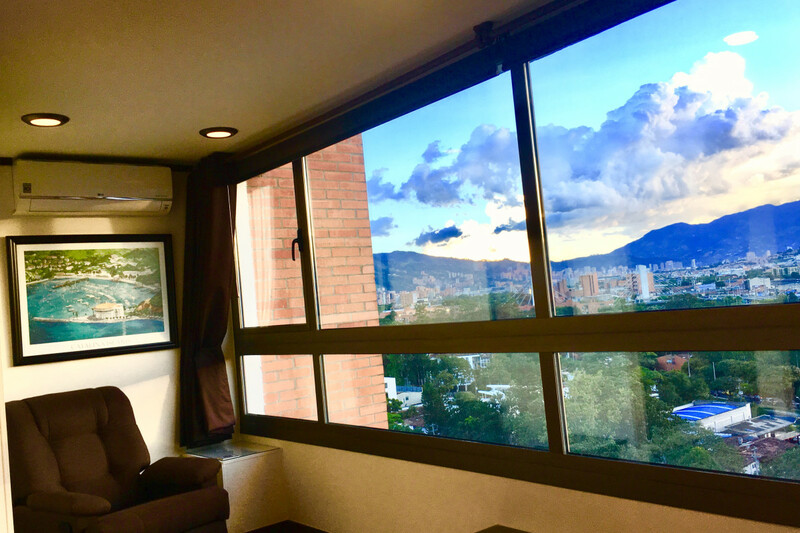 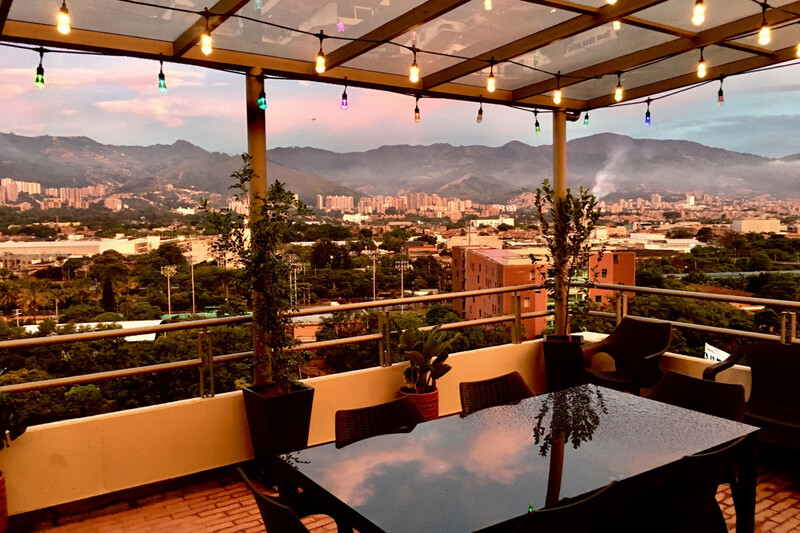 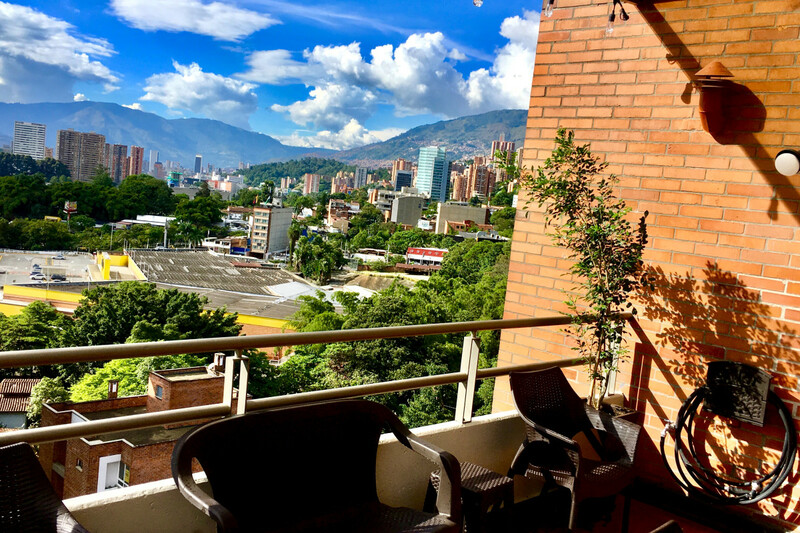 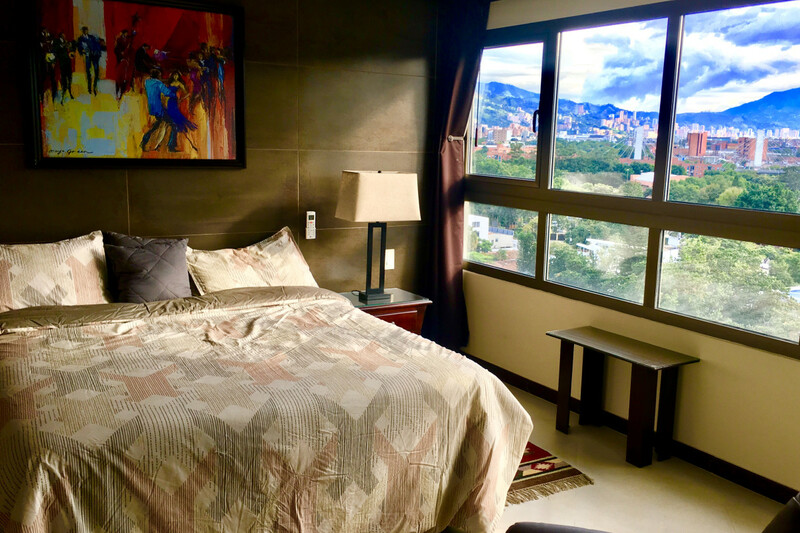 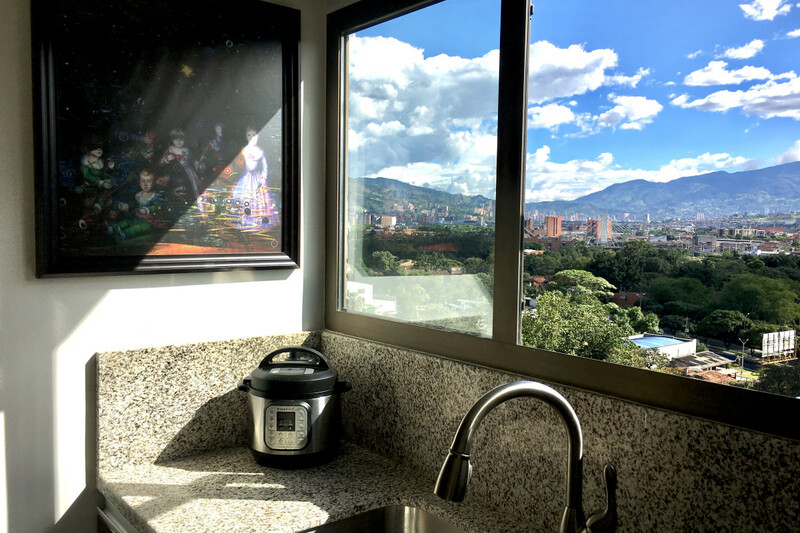 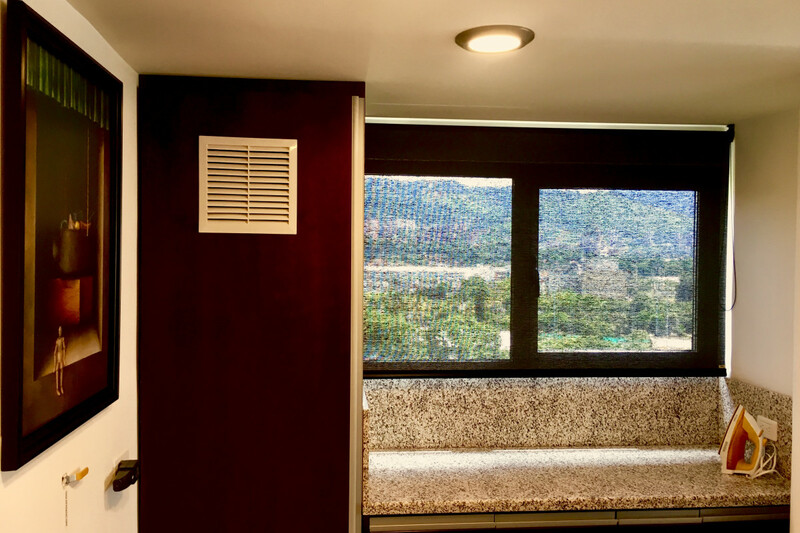 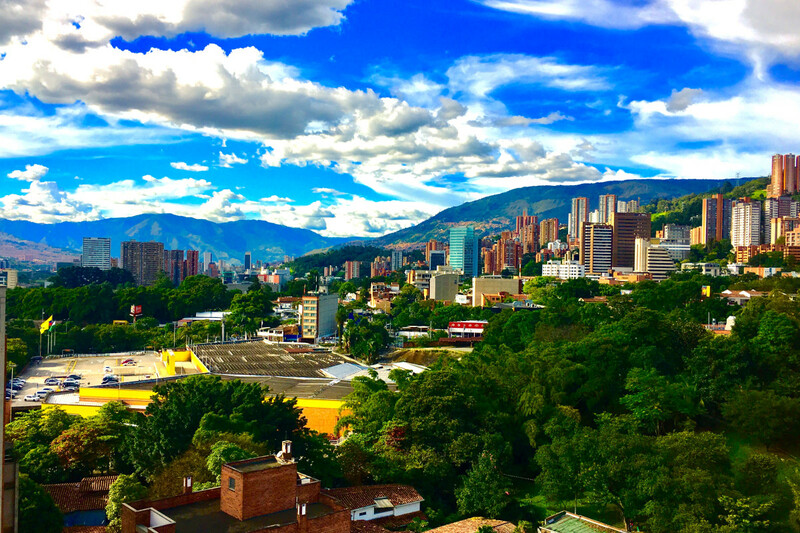 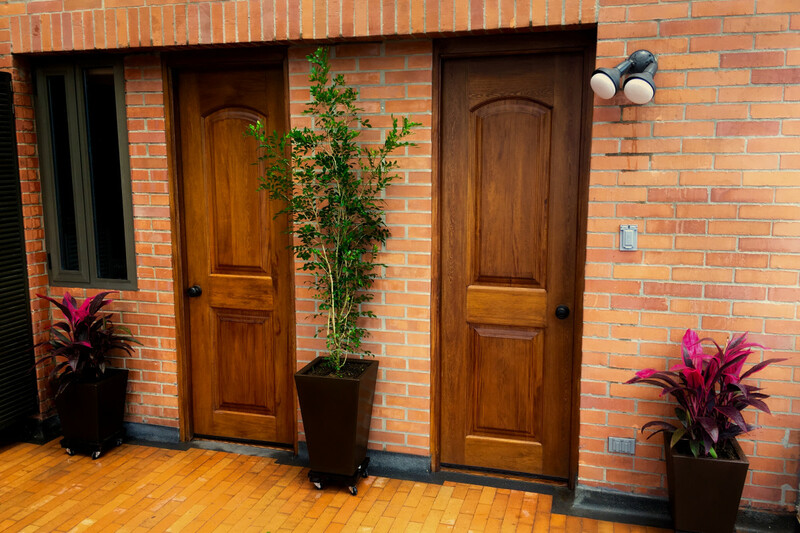 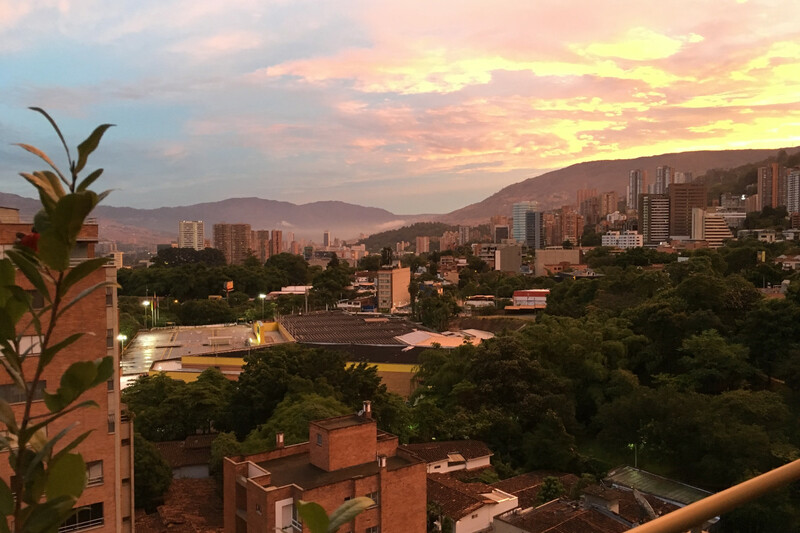 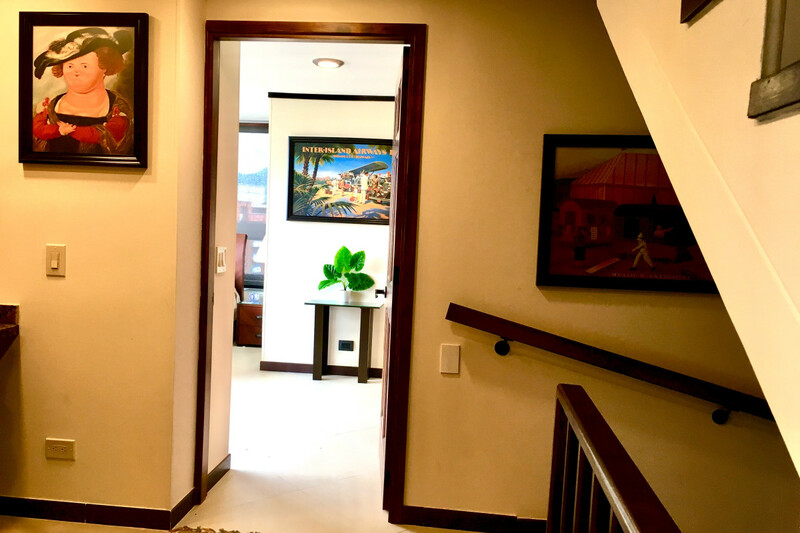 With the Poblado Metro Station being a short walk away, you will also be able to quickly access many other parts of Medellin without having to travel by taxi.